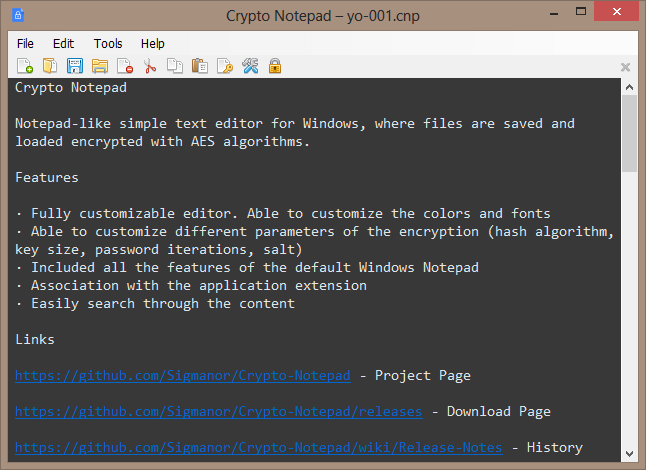 Direct Download Link for Crypto Notepad version 1.0.0. 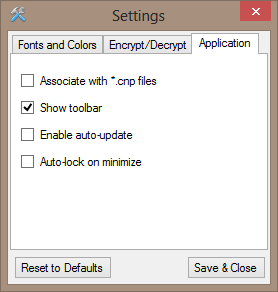 Crypto Notepad is portable and stealth by design- settings are saved in Crypto Notepad.settings file inside program folder. 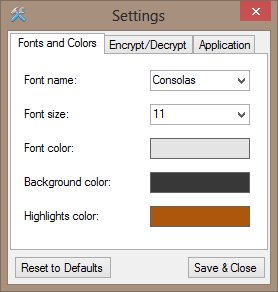 Run the executable (Crypto Notepad.exe). 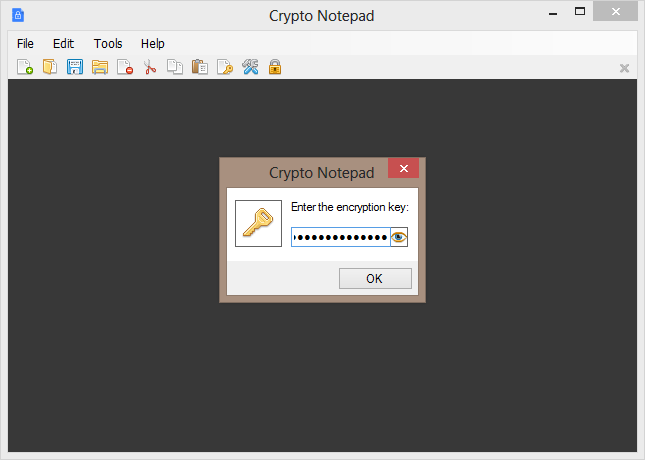 Crypto Notepad runs on Windows Vista SP2 and higher and requires .NET Framework 4.5. 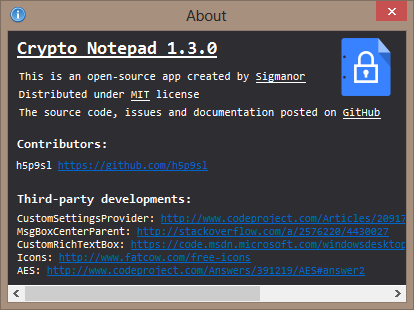 Crypto Notepad is licensed under the MIT License. 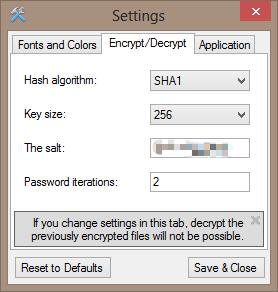 On first run Crypto Notepad offers to "Get The Salt from mac address". 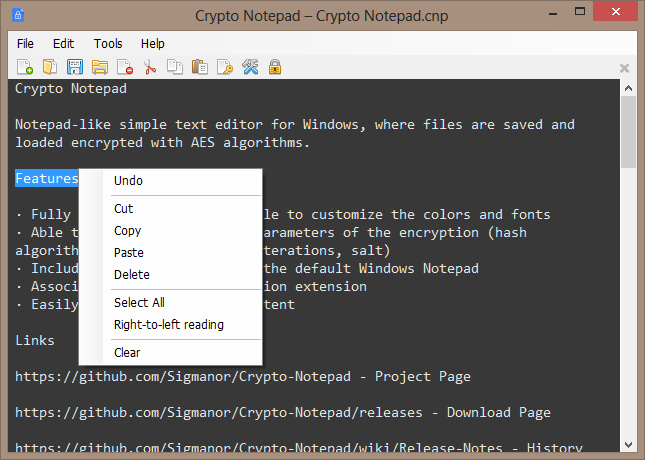 Crypto Notepad uses its own file format (CNP) for saving the encrypted text. 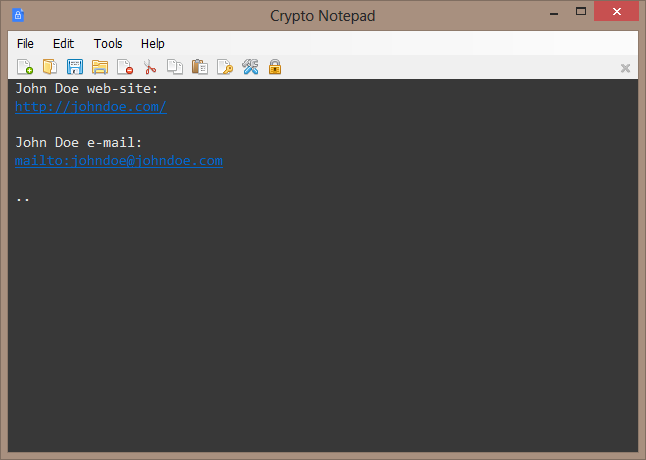 Currently (as of version 1.0.0) Crypto Notepad does not detect URLs and mailto: links and does not support drag&drop. Crypto Notepad uses about 28 MB of RAM on my Windows 8 x64 system. Last edited by smaragdus on Thu Feb 02, 2017 2:26 pm, edited 2 times in total. I added Crypto Notepad to the database. I edited Requirements, billon is right and Crypto Notepad really needs .NET Framework 4.0 to be installed in order to run. I edited Requirements once again after I got reply from the developer, who is very responsive on feature requests (GPG support - thanks to webfork!, Drag&Drop support, URL and mailto: detection). 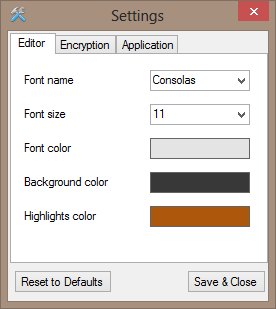 The developer- Sigmanor is putting much effort in debugging and improving the program. By the way I have not seen such website. That's a very neat project. What's your end goal for Crypto Notepad, Smaragdus? Who's your target audience? My guess is the developer was trying to create a simple notepad program, but with security enabled. Simple security is (usually) better security.